The town was founded by the Augustinians in 1587 under the patronage of the Immaculate Conception. It is the second oldest town established by the Augustinians in the province of Ilocos Norte. Hence, in 1987 Batac reached its 4th centennial. Batac was officially organized into a ministry on January 5, 1586. The first priest assigned to cathecize the natives of tile community was Fr. Esteban Marin, an Augustinian who probably arrived in Batac in 1585. Paoay and Dinglas (Dingras) were then the visitas of Batac. Folk history states that there were two villages in Batac during the early part of tile foundation of the town, one was an Itneg community which occupied sitio Nangalisan and a Christian community occupying San Jose. The first site of tile poblacion was in San Jose, which is now called Barangay Palpalicong. It is said that the ethnic minority groups of Bangui and Nueva Era are the pre-Spanish descendants of early inhabitants of Batac. The Augustinians considered the people of Batac more civilized than tile other tribes, because they were better than the other “Indios” in personal cleanliness. In 1598, the Augustinians founded Dingras as Ginglas. On the same year, it was placed under the patronage of San Jose. Dingras became one of the oldest and biggest ministries in the entire Ilocos region until year 1690. It was one of the visitas of batac in 1589. On July 8 of that year, Dingras was made a ministry with Fray Bartolome Conrado as its first parish priest. As such, it remained as one of the six encomiendas in Ilocos of the King of Spain in 1591. However, on October 31, 1603, Dingras was given back as visita to Batac, perhaps, because of its failure to become the mission center for the conversion of the interior settlements in the Ilocos. In 1680, the Augustinians built a church. However it was destroyed by a strong earthquake in 1707. Another church which was more spacious and massive was erected by Fray Damaso Vieztez. In 1838, Fathers Deza and Franco remodeled the church impressively. But fire later gutted the edifice. Te ruins still evidence of a once splendid structure, regarded by historians as one of the three earthquake baroque churches. The others are those of Magsingal (Ilocos Sur Province) and Laoag City. The manner in which the exactions were made drew harsh criticism from the Augustinians. Father Francisco de Ortega claimed the expedition had entered villages demanding tribute without any attempt to preach to the natives or offer them gifts. When some attempted to flee, the soldiers had pursued and killed as many as they could, and then returned to their villages and destroyed their homes, animals, and provisions. He claimed the expedition had resulted in 4,000 houses burned and more than 500 people killed, and he estimated it would take sic years or possibly a lifetime to recover from the devastation caused. The Augustinian Father Martin de Rada, similarly reported the Spanish had made war on those who had refused to pay tribute, burning their houses and causing them to flee to the hills. Members of religious orders claimed that 6,000 taes of gold had been collected, and that although similar raids and exactions had been conducted elsewhere in the islands, they judged that they had not been the same scale. While few Spaniards and secular officials resided in Ilocos and Pangasinan, the regular clergy were active there throughour the colonials period. Augusitnians probably accompanied Juan de Salcedo’s expedition to establish Vigan in 1574, but native hostility retarded missionary efforts, and it was not until 1578 that Franciscans based at Vigan and Tuley began the conversion of local peoples. By 1591 the Franciscans had left and their parishes had become secular benefices. Meanwhile, in 1586 Augustinians established their first residences at Ilauag (Loaog), Batac, Tagudin,and Baratao (in Pangasinan), and by 1612 they had thirty-one priests working in twelve parishes. While the Augustinians soon became firmly established in Ilocos, missionary profess in Pangasinan was slow due to continuing unrest provoked by ill treatment and excessive exactions. Ilocos and Pangasinan were part of the bishopric of Nueva Segovia that was established in 1595 with its seat in Nueva Segovia in Cagayan. Despite official intentions,04 the second bishop of Nueva Segovia, Diego de Soria, took up residence in Vigan, as did most of his successors. The preference for Vigan probably efelcted the declining importance of the province of Cagayan and the difficulties of administering the bishopric from so remote a location. Despite the erection of the bishopric, there were few secular benefices in Ilocos, and the Augustinians administered most parishes. The Augustinians founded permament missions in the lowlands, but their attempts to form settlements in the highliands ere generally short-lived and any converts they made were transferred to the lowlands. The division between peaceable lowland populations and hostile highland groups noed on Salcedo’s first expedition thus remained throughour the colonial period, though the distinction came o be ouched in terms of converted and unconventional peoples. To facilitated the conversion and administration of local populations, the Augustinians attempted to establish the cabecera-visita system. In Ilocos this involved bringing communities together to form cabeceras, which they referred to as ministerios. However, since lowland people needed to reside near their rice fields,only those hwo could afford to live away from their lands or had enough serfs to work them settled near the church, perhaps being attracted by Christian ritual and pageantry. Cabeceras thus came to be dominated by economic and political elites. 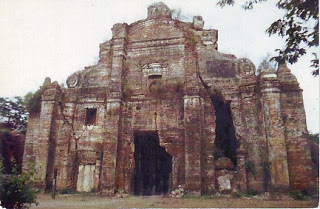 The extent of Augustinian mission fields fluctuated during the seventeenth century, but overall pogress was slow, Isabelo de los Reyes y Florentino has noted that in 1600 the Augustinians possessed eighteen pueblos in Ilocos and by the end of the seventeenth century only six or seven more had been founded. The Augustinians expanded their missionary activitied on three fronts. The earliest attempts focused on the Igorots. 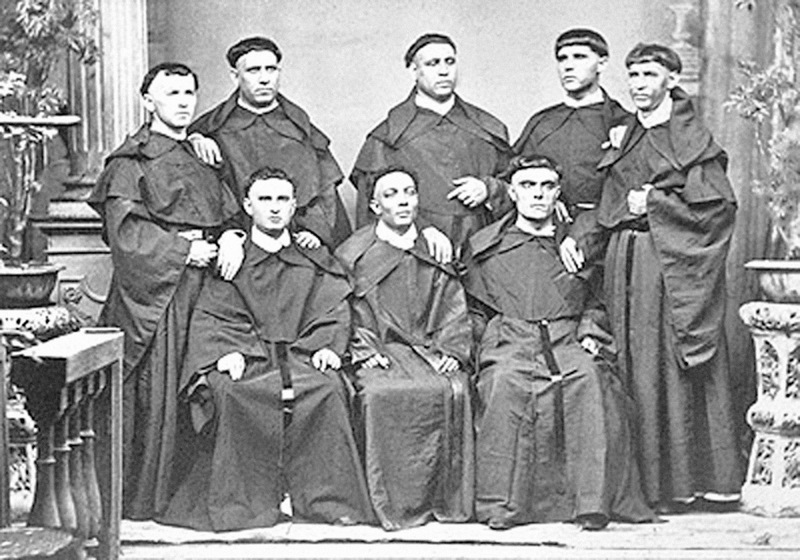 The Augustinians were involved in the major expeditions aimed at discovering gold and these often resulted in the transfer of small number of converts to lowland missions. Hence, following the failture of Pedro Duran de Monforte’s expedition in the 1660s, small numbers were settled at Bauang, Bangar,and Navarcan. Through the colonial period the lowland missions were also boosted by small numbers of coverts attracted from the highlands through the efforts of individual missionaries. In 1760 the Augustinians had charge of 146 converted Igorots nd 148 catecumenos in the aforementioned villagaes, Candon, Namacpacan,Agoo, and Aringay together. Another major arena of Augustinian activity was the Abra de Vigan. In 1598 fathers Esteban Marin and Agustin Miño, based at Bantay, penetrated the Abra Valley and established a settlement at Bangued to serve as a center for the conversion of Tinguians of the region. In the early 17th century, Father Juan de Pareja baptized 3, 000 souls and the visitas of Tayum,Sabangan,and Bukao (Dolores) were established. However, these towns were in daily conflict with unconverted Tinguians in surrounding settlements. Missionary activity seems to have been intermittent during the latter part of the century. The region w considered unhealthy and the population hostile, so the Bangued mission was regarded as poor and was often vacant. Despite intermittent missionary activity, in 1756 the bishop of Nueva Segovia reported that the Tinguians of Abra were peaceable but were reluctant to be baptized because they would have to pay tribute. He estimated they numbered 10,000 sould distributed in 100 villages or Rancherias of one, two or three families. Spanish control of the region was not effective until the 19th century, when most modern-day twons were founded. Meanwhile some converted Tinguians moved away from the hostile frontier and settled between Navarcan and Candon. Further north, early mission centers were established at Laoag, Batac, and Bacarra, and from there the interior highlands of northern Ilocos were approached from both the south nd north. Following a revolt in Batac and Dingras in the late 1580s, a visita was established at Dingras as a base for converting interios populations. In 1610 it possessed three priests in charge of 1,500 tributaries and 4,500 almas de confesion. Subsequent missionary progress was slow. In the early 18th century Father Nicolas abro converted more than 1,000 Tinguians near Dingras and founded settlement at San Juan, while concerted efforts from the 1740s led to the establishment f Banna, Santiago, and Parras. In 1760 Banna and Santiago possessed 437 Tinguian converts and 250 catecumenos, while small numbers were to be found at Batac and Magsingal. Meanwhile to the north, in 1607 a visita of Bacarra was established at Bangui at the instigation of its encomendero. Despite the early establishment of this visita and a ministry there in 1624, a missionary push from Bangui did not occur until 1668, when Father Benito de Mena Salazar ound villages at Adan, Vera, and Bangbaglo (Nacpartian). By 1714 this mission field had been abandoned, but Father Jose Herice re summed work there in 1720 and founded two new settlements at Adan and Vera. In 1754 the Adan were said to comprise only one pueblo of 60 houses living under the protection of the Apayao, who were numerous. 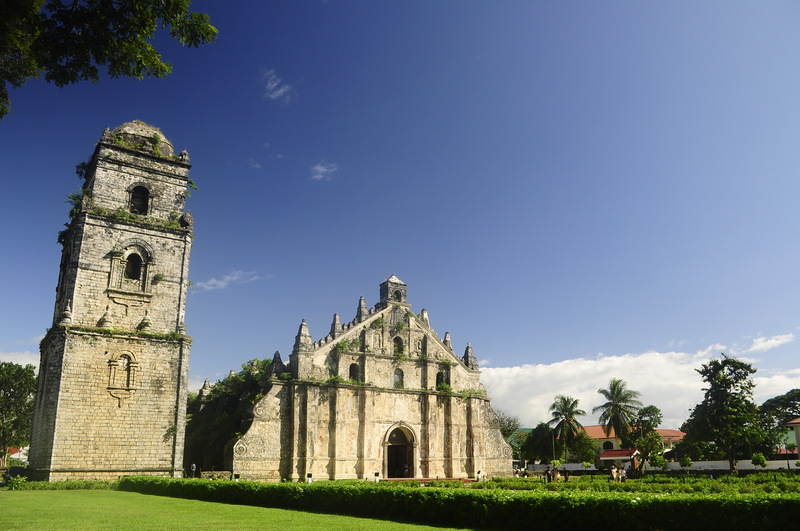 The slow mission progress of the missions in Ilocos is evident in the relatively small numbers of converts who were baptized between 1754 and 1758. During this period only 463 baptisms were recorded; 41 of those were Adan, 11 Apayao, 63 Tinguian, and the remainder Igorot. These numbers may be compared with estimates in 1788 of 10,000 for the Tinguian in Abra, of 10,000 converts from Vigan to Agoo, and of 10,000, probably of mixed ethnic origins, from Kavagan, Inbusi, Apayao and Pangutgutan. The lack of progress was blamed on the shortage of priests, the use of force on the expeditions, and the failure of converts to adapt to a new way of life. Linda Newson, Conquest and Pestilenece in the Early Spanish Philippines, 189-190. On October 18, 2013, the Augustinian Simply Professed Friars of the Province of Sto. 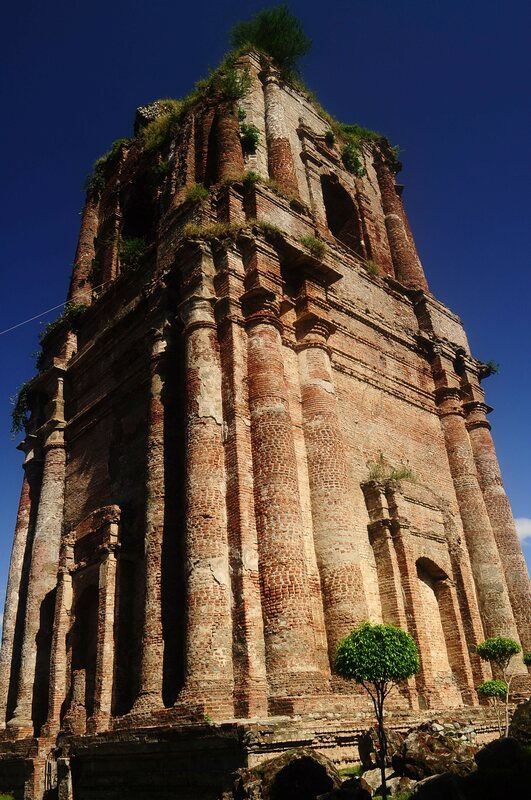 Niño de Cebu had the chance to visit the churches built by their forefathers in Ilocos Norte and Ilocos Sur. The pilgrimage is called “Balik-Ugat”, which is literally translated to “Back-to-the-roots”. In history, these two provinces were assigned to the Augustinians as their mission territories. These are just two of the missionary territories of the Augustinians in the Philippines. These places are distinct in name since it is where we can find some of the famous churches declared by UNESCO as a historical heritage.